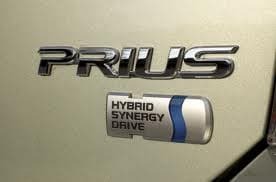 A recent NLJ story, “Circuit Tosses Attorney Fee Award in Prius Litigation,” reports that the U.S. Court of Appeals for the Ninth Circuit has again struck down an award of attorney fees in a class action settlement, this time over allegedly defective headlights in Toyota Prius vehicles. Plaintiffs firms had petitioned the court to reverse a federal district judge’s rejection of their proposed $4.7 million in attorney fees. U.S. District Judge Manuel Real had called the fee request “highly unreasonable” for such a simple case and awarded $760,000 which he said represented 20 percent of the settlement’s estimated $3.8 million value. The Ninth Circuit panel found that Real had abused his discretion in calculating fees based on a percentage of the settlement, rather than the lodestar method, which is the actual amount billed. In its Ninth Circuit brief Eric Gibbs, a partner at San Francisco’s Girard Gibbs had argued that Real should not have applied the percentage method in the cases brought under California law. Real also failed to take into account the lodestar calculation, wrote Gibbs, who estimated the firm billed $1.25 million. Three additional plaintiffs firm—Wasserman, Comden, Casselman & Esensten of Tarzana, Calif.; Cohen Milstein Sellers & Toll in Washington; and Los Angeles-based Arias Ozzello & Gignac—joined in the appeal. A fifth firm, Initiative Legal Group of Los Angeles, filed a separate brief. The case draws parallels to the In re Bluetooth Headset Products Liability Litigation opinion in 2011, in which the Ninth Circuit found that U.S. District Judge Dale Fischer had failed to cross-check the lodestar amount against what plaintiffs attorneys would have received on a percentage basis when determining the fairness of a $800,000 fee request in a class settlement. A recent The Recorder story, “In Walmart Fee Fight, Ninth Circuit Balks at ‘Non-Appealable’ Arbitration,” reports that two Bay Area plaintiff lawyers have won an arbitration battle but lost a bitter $28 million fee allocation dispute. 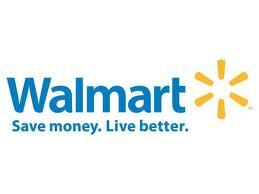 The U.S. Court of Appeals for the Ninth Circuit ruled that Carolyn Burton and Robert Mills may challenge the allocation of attorney fees in multidistrict litigation against Walmart, even though they had previously agreed to “non-appealable” arbitration. But exercising that judicial review, the Ninth Circuit rejected the attorneys’ fiercely contested claims that arbitrator Layn Phillips colluded with Fredrick Furth and another plaintiffs attorney to get more Walmart mediation work, and then stiffed Burton and Mills on fees to punish them for refusing to play ball. Burton, Mills, and co-counsel Carol LaPlant will receive about $6.7 million in fees, while New Hampshire attorney Robert Bonsignore will keep $11 million. The remainder of the $28 million goes to some 40 state and local counsel who helped negotiate an $85 million settlement of wage-and-hour claims in multidistrict litigation across 30 states. Mills and Burton claim Phillips punished them by allocating the lion’s share of the MDL fees to Bonsignore. Bad blood in the case dates back to 2007, when Burton left the Furth Firm, accusing the famed attorney of cheating her out of bonuses and selling the MDL to get a better settlement of his California state court case. The federal litigation settled in 2008 for $85 million, and Phillips was chosen to arbitrate the division of the $28 million in attorney fees. A recent The Legal Intelligencer story, “Flawed Notice of Contingency Terms Cuts Attorney Fees,” reports that the Pennsylvania Superior Court has ruled that a law firm’s contingency fee agreement was ambiguous because it failed to expressly state whether the fee would be calculated based on the gross proceeds from the settlement or on the net proceeds after the litigation costs and medical expenses were deducted. In an unreported opinion in Nguyen v. O’Neill, a three-judge panel of the court unanimously upheld a Philadelphia trial judge’s ruling reduced Philadelphia-based personal injury firm Simon & Simon’s cut of an $86,300 settlement in a motor vehicle accident case from about $32,000 to just under $20,000. 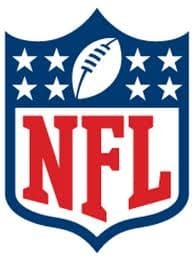 When the NFL announced the concussion settlement in August, the former players assured the league that no part of the $765 million settlement was for lawyers. Plaintiffs’ lawyers were to be paid from a separate fund, to cover attorney fees and expenses. But, according to documents and emails obtained by ESPN’s “Outside the Lines,” some plaintiffs’ lawyers have separate fee arrangements with former players. It is unclear how many lawyers could be engaged in “double-dipping” and how many former players might have a separate fee arrangement. In some cases, those fee agreements call for the players to pay as much as one-third of any money they recover to their attorneys. A recent Corporate Counsel story, “Senate Weighs Fee Shifting in Anti-Patent Troll Bills,” reports that business leaders urged the Senate Judiciary Committee to include fee shifting in legislation it’s debating to combat abusive litigation from patent trolls. Speaking at a hearing the panel held on patent lawsuit reform, representatives of the Credit Union National Association, Printing Industries of America and Adobe Systems Inc. said provisions that called for the loser patent litigation to pay for court expenses are necessary to effectively fight patent trolls. Not all witnesses at the hearing thought Congress must legislate on fee shifting, however. Phillip Johnson, Johnson & Johnson Services Inc.’s senior vice president and chief intellectual property counsel, said he supports fee shifting as a tool to combat trolls. But he said Congress might want to wait until the U.S. Supreme Court in February takes up patent cases Octane Fitness LLC v. ICON Health & Fitness Inc. and Highmark Inc. v. Allcare Health Management Systems, both of which concern fee shifting. “By waiting for the Supreme Court to act, you’ll be able to decide whether the way that they’ve acted is a bitter way to go forward than whatever legislation you may wish to write,” Johnson said. 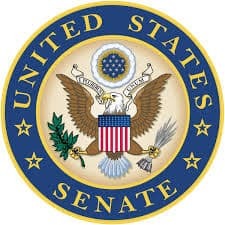 The Senate’s version of the patent reform legislation is called the Patent Transparency and Improvements Act. The House passed its version, the Innovation Act, which has a fee shifting provision.